When I was a little girl, visits to the doctor that included injections were followed by our favorite prescription—an official form entitling us to a one-scoop cone at the local pharmacy’s soda fountain. What a treat! In these days, when childhood obesity is such a threat, I can’t imagine a doctor offering such prescriptions, but the American Academy of Pediatrics is suggesting pediatricians offer something even better—a prescription for play. Research demonstrates that developmentally appropriate play with parents and peers is a singular opportunity to promote the social-emotional, cognitive, language, and self-regulation skills that build executive function and a prosocial brain. . . . Play is not frivolous [emphasis added]: it enhances brain structure and function and promotes executive function (ie, the process of learning, rather than the content), which allow us to pursue goals and ignore distractions. When play and safe, stable, nurturing relationships are missing in a child’s life, toxic stress can disrupt the development of executive function and the learning of prosocial behavior; in the presence of childhood adversity, play becomes even more important. When play is missing, the stress that places on a child will limit the child’s ability to develop in healthy ways. The more stress and adversity in a child’s life, the greater the need for play. The report emphasizes the need for playful relationships with parents and playful early childhood education. 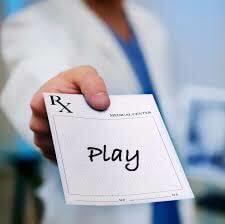 Play is seen as so essential, it merits an actual prescription during wellness checks. As I read the report, I kept thinking about how often schools have this exactly backwards. How often do we read that when children come from challenging circumstances we must promote academics early and get them “school ready” through increasingly structured preschool experiences? I want to stand on a hill somewhere and yell, “NOOOOO.” The more our most vulnerable students are under stress, the more they need opportunities for free, exploratory, imaginative play. And now, I have an army of pediatricians standing behind me. Thanks, doctors! 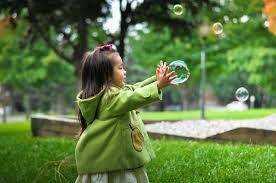 Of course, play is not just for preschool children. We need it as adults as well. In future posts we’ll take a look at some of the subsections of The Power of Play report. Our students’ health, wellness, and learning depend on it. PS If you’d like a brief news report to share this information with others, take a look.